With the summer heat upon Independence most of the work for June was done off-site. Down in Olancha Tom and Betty Dews were working on getting the cab finished up with the installation of the electrical and cab card holders. 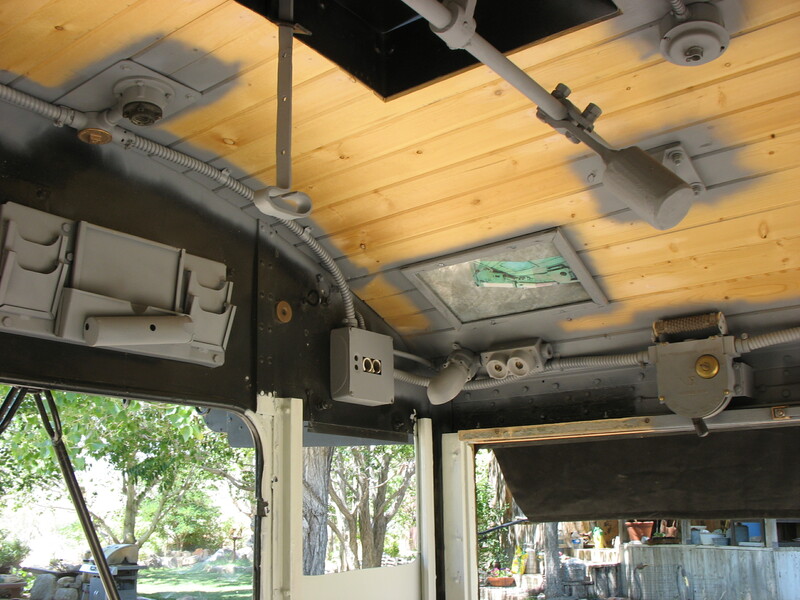 Still to finish on the cab are the windows and curtains. 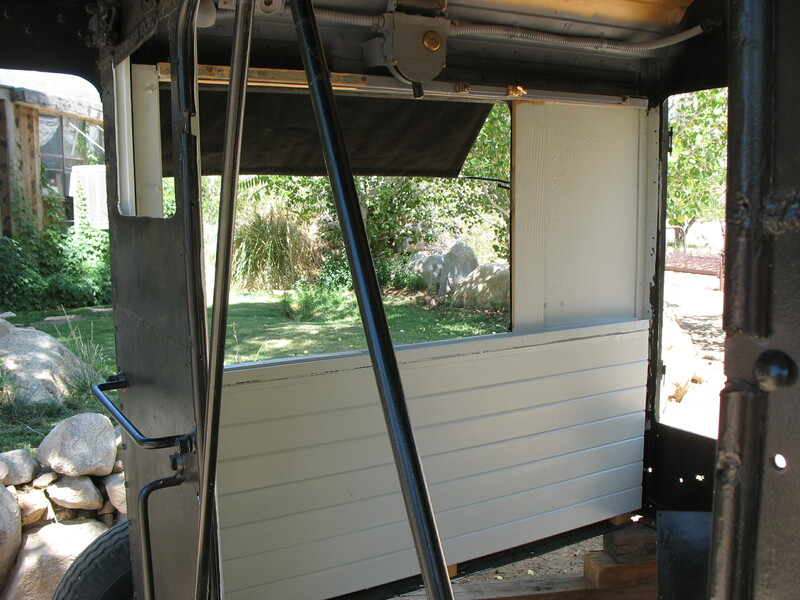 The curtains will be set up to secure the cab when necessary. 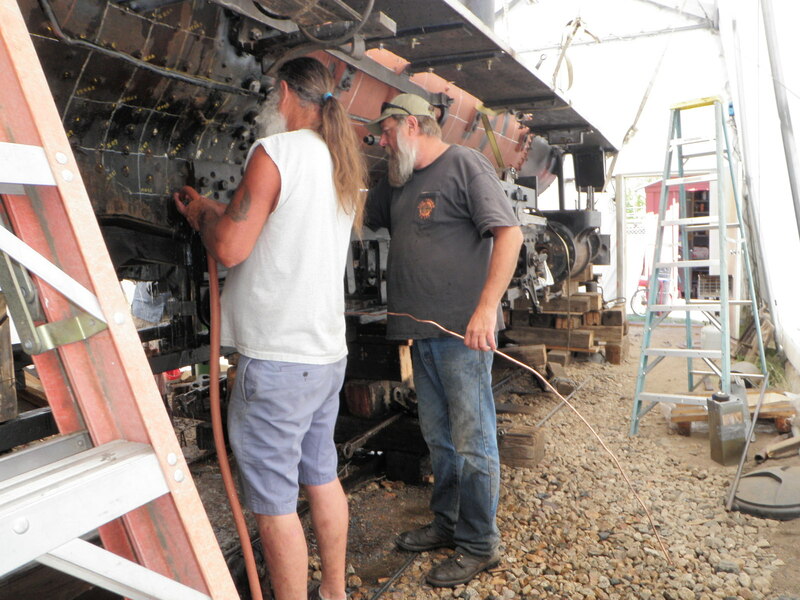 The cab is effectively ready to be reinstalled, but that will have to wait until we have drivers back under the locomotive and can roll it out of the tent. On the 25th Rick Cromer made a fast trip east to Durango, CO to pick up the pony truck and air compressor. All arrived safely back in Independence. 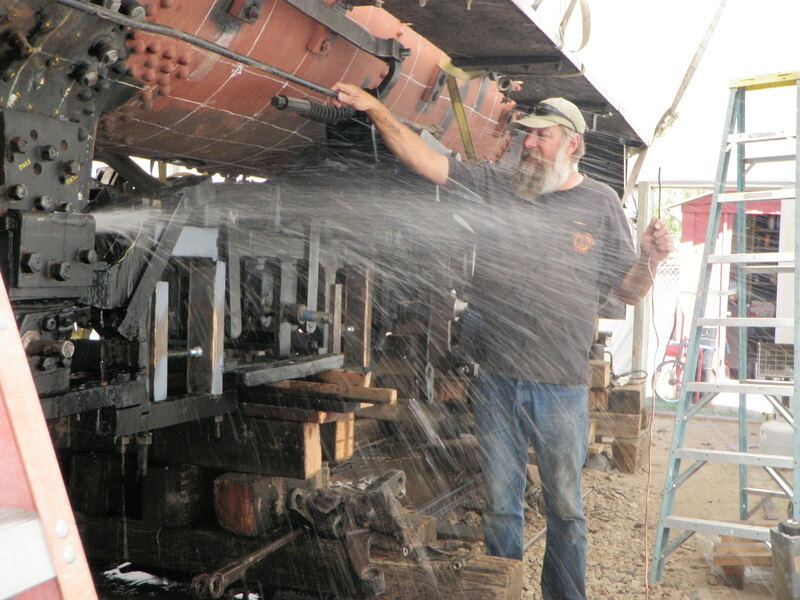 On the weekend of the 22nd and 23rd a small work party was held to wash out the boiler and paint the frame. About 20lbs. 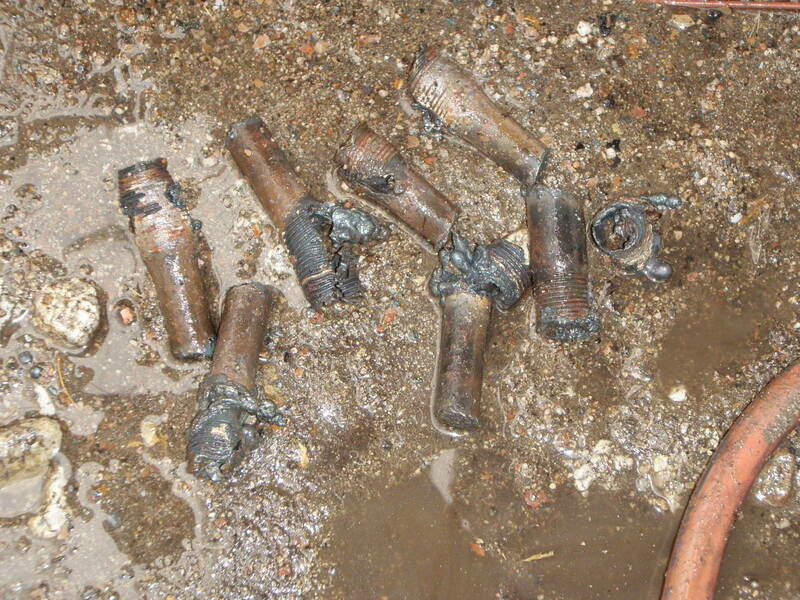 of debris was removed from inside the boiler. Most of this was from our staybolt replacement last year, but some was obviously from years back. 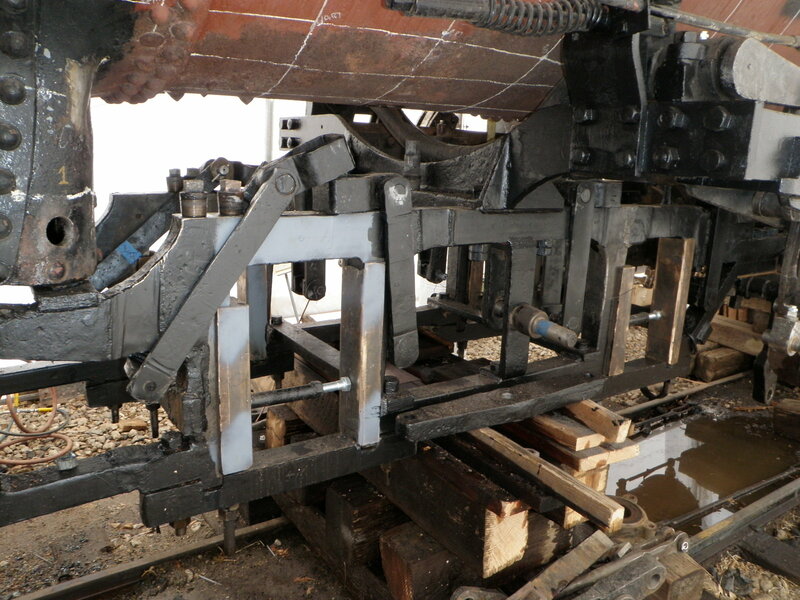 Staybolt remains removed from the boiler. Over at Joe Andrews garage both pistons were set up in the lathe and all four ring grooves were machined. With clean grooves we were able to order the new rings. Once they arrive we should be ready to install the pistons and cylinder heads. 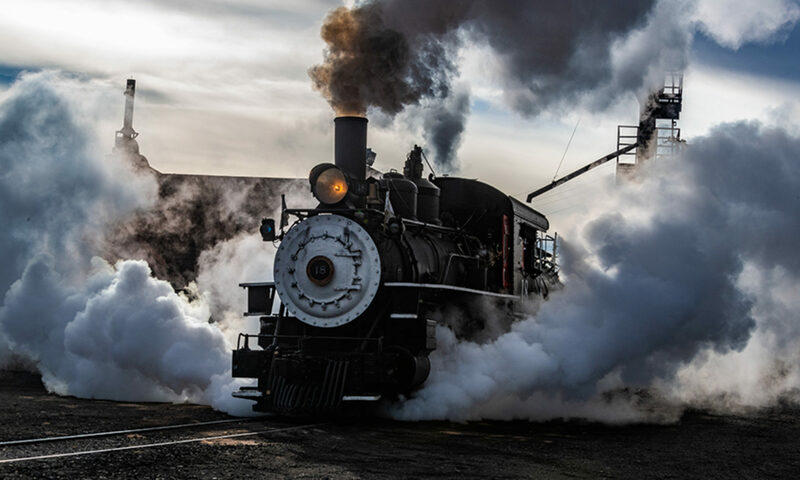 Looking ahead, the next steps will be setting up the shoes and wedges – known as tramming – reinstalling the throttle, finishing up the brake rigging rebuilding, finishing up the new water glass and reinstalling all the boiler fittings. The “Duck Dynasty” crew washes out the mud ring. Freshly painted frame. Gray paint has “tram” marks for shoes and wedges.